Sacrewell held a bumper harvest festival to coincide with the launch of its new website last weekend. More than 1,100 visitors flocked to the farm to enjoy an exciting array of activities focused on farming heritage. As Sacrewell also launched its new website and branding that weekend, focusing on the centre’s farming roots, it was the perfect opportunity to show those not familiar with the site exactly what Sacrewell has to offer. 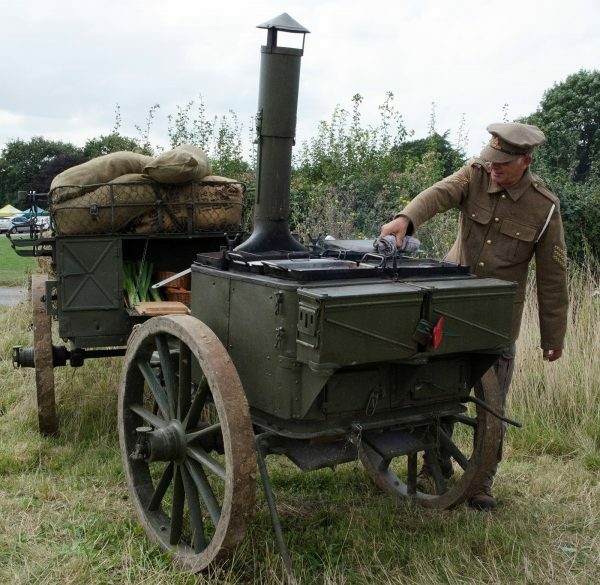 Visitors were taken on a journey through time as the history of harvest was brought alive; from horse-drawn ploughing demonstrations and a First World War field kitchen to vintage tractor displays and tractor rides through a contemporary working organic farm. With a delicious selection of fresh produce on sale, Sacrewell demonstrated its continued support for local food and drink producers. There was something for all the family as trade stands offered cakes and sweets, jams and oils, soft drinks and real ale and cider. Mill project assistant Helen Pattison, who organised the event, said: “The harvest festival was a real chance for people to learn about the crops we grow to eat, what we are eating and how it was made. The field to fork plight is a cause that is at the heart of the William Scott Abbott Trust”. The weekend included talks on the progress of Sacrewell’s Heritage Lottery funded watermill restoration project. Once completed the watermill will be an excellent educational resource to demonstrate the process of field to fork. The festival also brought a number of former mill and farm employees and out of the wood-work and staff enjoyed chatting to them about their happy memories of Sacrewell. The best memories will be recorded and a select few will be put into a time capsule which will be buried in the mill. With the Trust’s educational aims in mind, the festival was also an opportunity to get hands-on and learn new skills with willow weaving workshops, apple-pressing, wool-spinning, corn-plaiting and wood turning workshops running throughout the weekend. However, as always, it was the animals that captured the attention of many, with ferret racing, lamb national racing, dog and duck demonstrations and falconry displays on offer.